WHAT: The University of Missouri is hosting “Education and Healthcare: Collaborating for Better Systems,” a conference to celebrate ten years of work by researchers in the University of Missouri Information Experience Laboratory (IE Lab) in the field of human-computer interaction and usability and to commemorate their collaborative projects in healthcare and education. The IE Lab works to improve usability information technology systems, particularly those which are tools that deliver important medical information to healthcare workers in a timely, user-friendly manner. The researchers hope to improve the way people interact with technology by making it a more efficient and pleasurable experience for users. For example, an efficient usability system can save on the number of clicks and the amount of time it takes to make purchases during an online shopping experience. 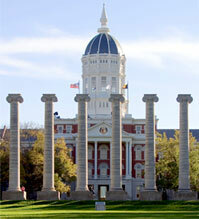 At the conference, MU experts will present research and studies that will improve the future of usability systems. WHO: The keynote address will be delivered by Catherine Plaisant, senior research scientist at the Human Computer Interaction Lab of the University of Maryland Institute for Advanced Computer Studies. Plaisant’s research focuses on information visualization, medical informatics, technology for families and digital libraries. Numerous usability systems experts from MU will discuss usability innovations in healthcare for improved clinical decision-making and eLearning systems. The IE Lab is located in the MU College of Education.